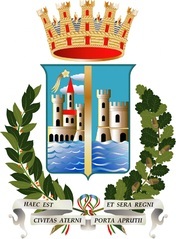 The province of Pescara was created with the foundation of the namesake city in 1927, after the union of two historically rival villages divided by the Atero river: Pescara and Castellamare Adriatico. The territory extends from the Adriatic coastline as far as the tops of the Central Apennine massifs. 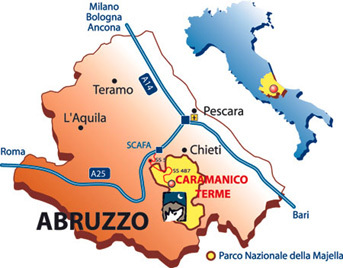 It borders on the province of Teramo (north), the Adriatic sea (north-east), Chieti (east) and L'Aquila (south and west). Following the course of the river Tavo, which originates in the Gran Sasso mountains, we reach the artificial lake and the town of Penne. From the mountains to the coastline, the whole province offers artistic treasures as well as wellness and relax corners in close contact with nature. 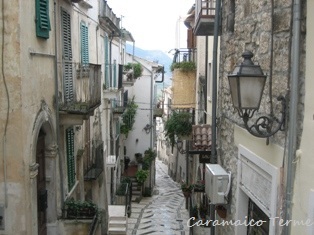 Pescara is the largest Abruzzese city, and among the main commercial and tourist centers along the Adriatic coast. Its sandy beaches extend for over 20 uninterrupted km. Pescara is also famous as the birth place of Gabriele D'Annunzio, one of the main Italian poets of the 20th century. 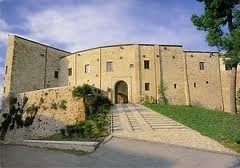 The province presents other sightworthy museums, such as the Paolo Barrasso Naturalistic and Archaeological Museum of Caramaico Terme, and the Museum and Archives of Contemporary Artists of Abruzzi hosted in the Nocciano Castle. Then there are the San Clemente Abbey of Casauria (Castiglione a Casauria), the Museum of Traditions and Folk Arts (Picciano), the Museum of the Salle Castle, the Ducal Tavern (Popoli) and the Oil Museum (Loreto Aprutino). 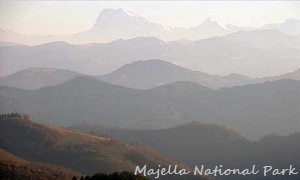 The territory like the other four provinces of Abruzzi, preserves an important natural patrimony: worth mentioning are the National park of Gran Sasso and Monti della Laga, the Majella National Park, but also the natural reserves of Pineta di Santa FIlomena, Valle dell'Orfento, Lama Bianca di Sant'Eufemia a Maiella and Piana Grande della Majelletta. And then there are the provincial reserves of Lago di Penne, la Pineta Dannunziana (D’Annunzio’s pine grove) and the natural guided reserve Sorgenti del Fiume Pescara. Sun, sea, sports and movida are the keywords of the province of Pescara, where the leitmotif is wellness. In fact, the territory offers a mix of nature, suggestive landscapes and sport: an experience for the whole family. 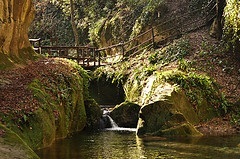 The sources of the Pescara river represent the ideal location for a picnic, with two naturalistic trails for birdwatching and biowatching. 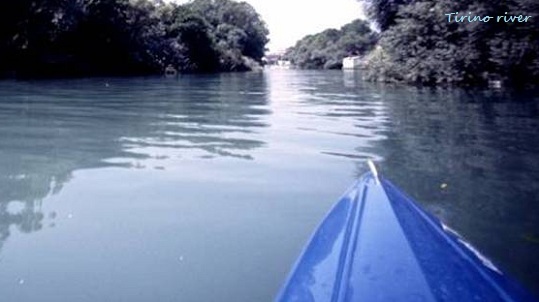 The Tirino river, instead, is the ideal location to canoe or cycle with a mountain bike along its shores, a 30 km network of trails. The territory is the ideal place also for birdwatching, trekking and photography, to discover the chamois and wolf kingdom. 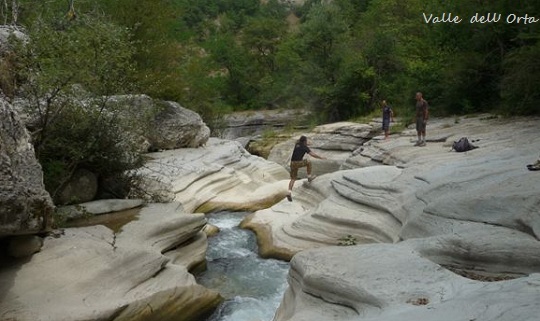 The area of Roccamaiore (Valle dell'Orta) is one of the major climbing sites in Italy. 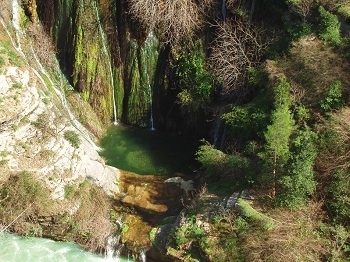 It is also possible to reach - by walking or cycling - the Grotta dei Piccioni, the Cisterna fall and the Grotta Scura, which originates a 380 mt cavity. The Angri valley offers several opportunities, from free climbing to trekking, even on horseback. The Natural Reserve of Voltigno and the Angri valley offer possibilities for gliding, thanks to the presence of valley breezes and mountain winds. It is also possible to fish in a high-altitude little lake. The Caramanico spa (Caramanico Terme is a beautiful spa town in the Maiella region) represents the ideal place where to combine wellness with a holiday in a typical medieval village, at 650 mt in the heart of the Maiella National Park. Here you will find different kinds of massages and beauty treatments, with thermal waters and muds. The coastline offers both relax and several summer sports: swimming, spinning and water bike, but also beach volley, beach golf, windsurf and watercraft. 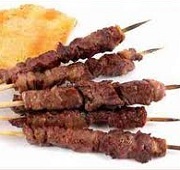 The typical dishes of are based on natural products, such as olive oil, honey and the well-known lamb arrosticini. 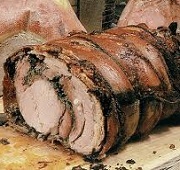 A traditional and well-appreciated product is the porchetta, - slowly browned in the oven. 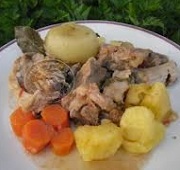 Another typical dish is the sheep alla callara, seasoned with several herbs and cooked in a pot for hours. Then there are the little salami called salamelle del tratturo and a great variety of dairy products, thanks to the old tradition of transumanza: the whole region offers a great tradition of sheep and goat's milk cheese, both mild and strong. And don't forget other kinds of cheese such as the fior di latte, the fresh mozzarella, the scamorza, the caciocavallo, the pecorino and the caprino, whose making is very ancient. 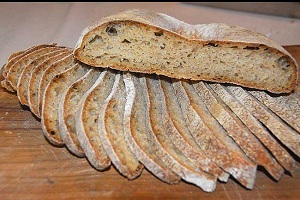 There are also several kinds of bread and pasta: the bread al canestro, rised in wicker baskets wrapped in a cloth, the cuscinetto, a thin and rectangular bread, and the classical loaf. The traditional pasta is made with spring water in bronze dies or handmade and it can be cut, e.g. with lu carrature or alla mugnaia; its traditional shapes are sagne, ravioli, fregnacce and pappardelle. The typical wines of the province are: Montepulciano, Trebbiano, Cerasuolo and also the Moscato di Castiglione a Casauria.